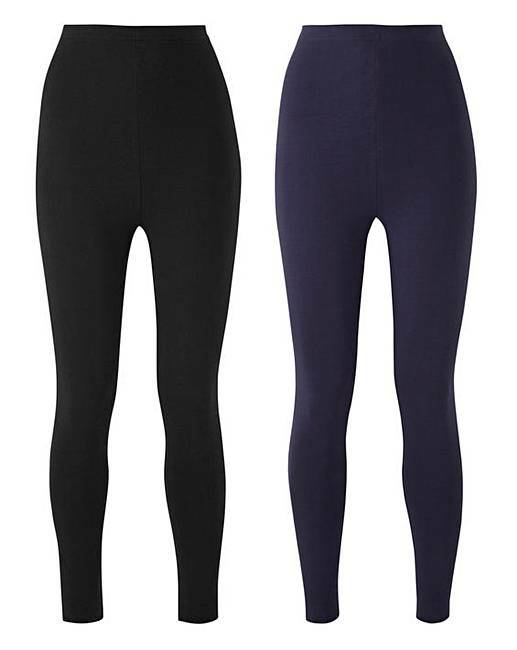 Our two-pack leggings, both in black and navy are the perfect addition to your leisure wardrobe. Team with our longline hoodie (KK076) or mesh tees (KR100) for styling options. 48% Cotton, 47% Polyester, 5% Elastane.